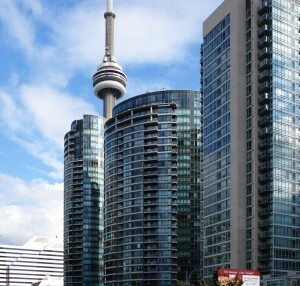 The Toronto Real Estate Board reported 3,830 condominium apartment sales through the TorontoMLS system during the fourth quarter of 2012. This number represented a decline of 23% compared to 5,005 sales during the same time period in 2011. The average selling price for condominium apartments in the fourth quarter was $332,410 – down by 1% compared to the fourth quarter of 2011. “The condominium apartment market was the best supplied market segment in 2012. Strong condo apartment completions in 2011 and the first few months of 2012 resulted in a substantial number of new listings on the TorontoMLS system last year. With more units for buyers to choose from, the annual rate of price growth moderated,” said Toronto Real Estate Board (TREB) President Ann Hannah. In the condominium apartment rental market, transactions rose by almost 13% year-over-year in the fourth quarter, while the number of units listed for rent increased by over 17%. Average rents were up on a year-over-year basis for one-bedroom and two-bedroom apartments. “While some first-time buyers put their decision to purchase on hold in the fourth quarter, many of these people chose to rent a condominium apartment instead. Similar to the ownership market, strong new condo completions prompted a considerable increase in the number of investor-held units offered for rent. However, there was still enough competition between renters to prompt upward pressure on average rents,” said Jason Mercer, TREB’s Senior Manager of Market Analysis.